Flying business and first class with Emirates is hands down one of my favourite ways to redeem Qantas Frequent Flyer points. 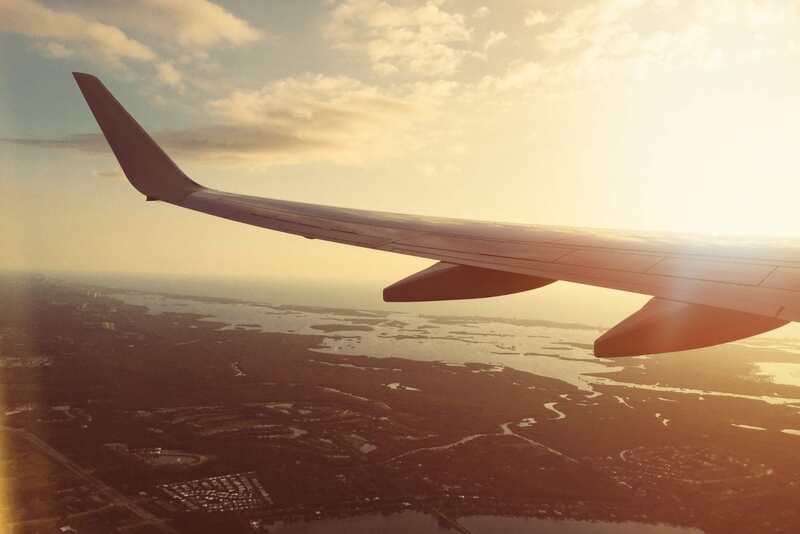 In this article we’ll show you a loophole that allows you to significantly slash the amount of money you’ll pay on taxes when you redeem for long haul Emirates Award Flights. Fortunately, I’ve discovered a loophole that allows you to significantly slash the amount of money you’ll pay on taxes when you redeem for long haul Emirates Award Flights. The trick is to route your trip via Hong Kong, where government regulations mean that carriers are restricted from imposing surcharges on airline bookings. 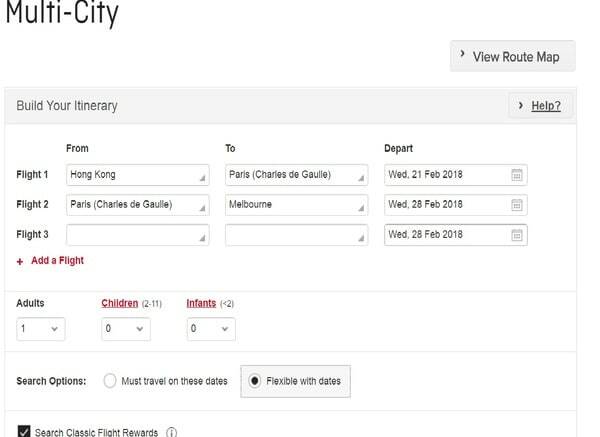 In order to take advantage of this loophole, you’ll need to book your travel with two itineraries via the Qantas multi-city booking tool so that your second itinerary commences in Hong Kong. There are a few other locations that Emirates flies to (i.e. cities in Brazil) where government restrictions on carrier surcharges also allow you to save significant money on taxes. However, we’ve chosen to feature routing through Hong Kong for the simple reason that it’s an easy stopover city for most Australian travellers. Most Australian cities offer Cathay Pacific (a OneWorld partner airline) flights to Hong Kong, and it’s a reasonable ‘half way’ point for travel into Europe, or even into the US. Now, let’s take a look at how we can minimise the cost of taxes when we book this trip using two itineraries via the Qantas multi-city booking tool, with our second itinerary commencing in Hong Kong. Note that if you don’t want to fork out so many points for this first leg, you could consider booking an economy flight (32,500 points plus the same taxes from most Australian cities) or even pick up a cheap one way fare from a budget airline like Scoot or AirAsia. 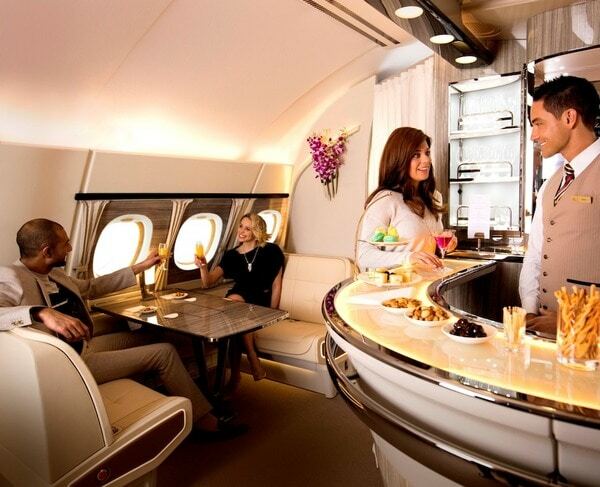 We find Emirates flights from Hong Kong to Dubai, and then from Paris back to Melbourne on our preferred dates in business class. The flights come in at 212,000 points plus just $1444 HKD (approx $257 AUD) in taxes. 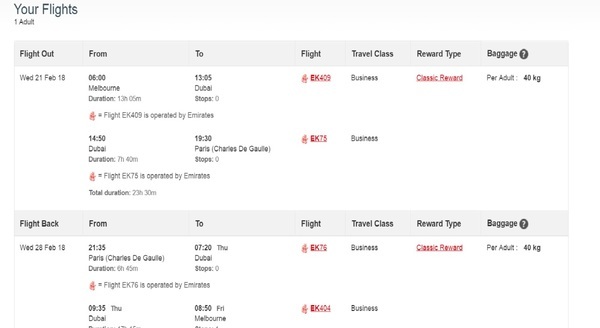 That’s an absurdly cheap outlay for a total of three business class sectors on board the Emirates A380. Overall, when we add our two itineraries together, we’re outlaying 277,000 points and paying just $378 AUD in taxes. By booking our flights as two itineraries and routing through Hong Kong, we’ll pay an extra 21,000 points but save a huge amount of money in taxes (around $967 for one person). Valuing Qantas Points at around 1 cent, I’d be happy to pay the extra points for such a significant saving. The points spend is slightly higher when we apply our two-step itinerary because the first leg (Melbourne to Hong Kong) is booked as a standalone fare (not part of a longer itinerary to Europe) and our trip includes separate legs from Hong Kong to Dubai and Dubai to Paris. As mentioned earlier, booking your first leg to Hong Kong leg as an economy award or as a cheap revenue fare will save you a significant amount of extra points and still allow you to save significantly on carrier surcharges, so it’s worth considering if you’re comfortable travelling at the back end of the plane for that first leg. It’s also important to note that this trick only works from Hong Kong, not another city on this itinerary. For the example we’ve provided, if you tried booking a reverse itinerary (or a one way) back from Paris, you’d still be slugged with the full carrier surcharges. Finally, a note that you can use this trick on Qantas flights, but try to avoid flights from London (Qantas’ only European hub) if you can. This is because the UK is known for an exorbitant Air Passenger Duty (APD) fee. Taxes levied for UK bookings will come out significantly higher than if you were to fly out of a different location with Emirates. While Qantas award space to and from the USA is notoriously hard to find, we’d suggest the best way to use this loophole is to find flights from Hong Kong to the USA with Cathay Pacific, with business or first class on the way back with Qantas.